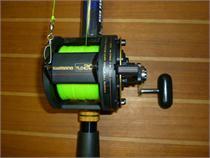 Shimano TLD Reels filled with your choice of line, 20LBS., or 30LBS. clear, or hi-viz Sufix line. Each rod & reel combo features all graphite Black Hook rods with Fuji style guides. 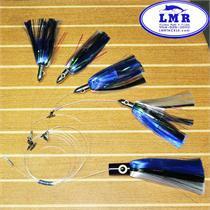 Ball Bearing swivels are tied on to each rod..
New Cobalt Blue made exclusively for LMR with over two years over of research and design to prevent color fading, This hollow-core braid is formulated for deep dropping, big game backing and other types of fishing where a heavy duty low stretch. . . 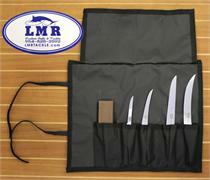 The LMR Pro Kite Rigging Kit includes everything you need to setup and maintain your kite fishing rods and reels. 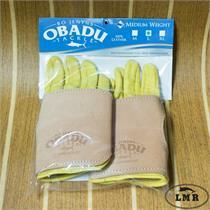 Designed for 150# to 400# leader, the Obadu Medium Weight Gloves are perfect for leadering small to medium sized gamefish; such as sailfish, marlin, tuna, swordfish and sharks. The 6 oz cowhide leather protects your hands, while the deerskin gloves give.. 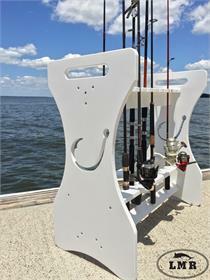 Ideal for king mackerel tournament fishermen, this AFTCO 12-foot, two-piece gaff features a black anodized shaft that is divided into an eight-foot forward section with hook, and a four-foot rear section, complete with two rugged black vinyl grips. Two 100 Gram Williamson Jig, Two 200 Gram Williamson Jig, Four 150 Gram Williamson Jig, Two 150 Gram Williamson Long Jig, and a Plano Box for travel. This hook is constructed of highly polished 1/2" stock 316 stainless steel and features a oversize handle welded closed for heavy lifting. Over all length is 25"inches. Daisy Chain featuring Skipjack Iland IL-400s & Iland Express features four Skipjack (Blue, White and Black) IL-400's, and one Skipjack (Blue & White) Iland Express at the end. 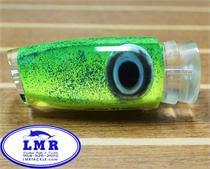 LMR Tackle hand makes each of these one at a time. These daisy chains are..
Black Hook Conventional Stand-Up Rod an LMR Exclusive! 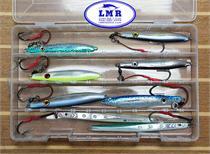 Only store in the world to sell Black Hook Series Rods is LMR Custom Rods & Tackle. 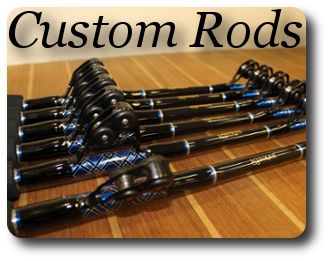 LMR Custom Rods & Tackle is the exclusive dealer for Black Hook Rods. 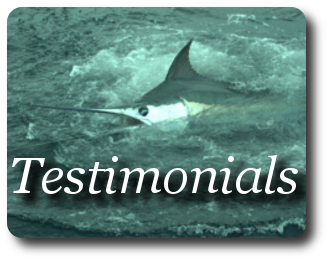 After many years of trial and error at our great expense, we offer Black Hook Line of Rods. 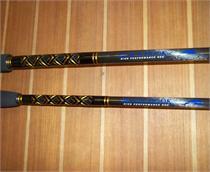 All rods feature one piece blanks, distinctive black and gold wrapping with very durable.. Ultimate Plunger, one of the world’s best all around lures this plunger features the correct taper and weight to suite any sea condition. 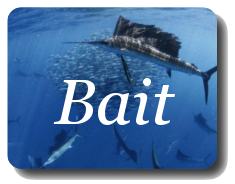 It can be pulled from any position and is used as either a hook bait or teaser. A steady smoke trail & rooster tail.. The painted series has double the head size compared to the wood series of TD Mops. 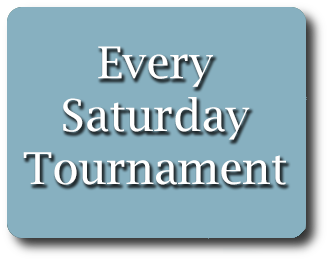 Available in 4'Foot, 5'Foot, and 6'Foot in either glossy white or black. 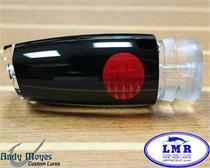 Moyes All Black Large Plunger with Taxidermy Eye, one of the world’s best all around lures this plunger features the correct taper and weight to suite any sea condition. 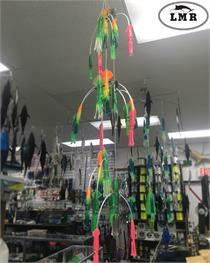 It can be pulled from any position and is used as either a hook bait or teaser. Made in the U.S.A.; this is not a Chinese knock-off. The "Original & Best" Hand Crimping Tool; that is branded and sold by Black Hook Wholesale Tackle & LMR Custom Rods & Tackle. 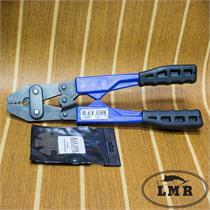 Too many hand crimpers have passed through our shop in the last 30 years. . The Mold Craft Floppy Flipper includes three 9"squids and six 6"squids followed by a Mold Craft Bird. The floppy flipper is one of the hottest teaser rigs of the year. Made with the original Mold Craft Squids in the USA; not the china knock offs! Moyes Blue Top over Abalone Argus head with concave face that produces an enticing bubble trail. The Flying fish chain is one of the hottest daisy chains of the year. 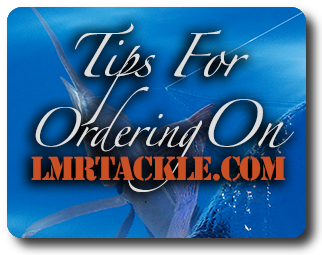 LMR Tackle hand makes each of these one at a time. 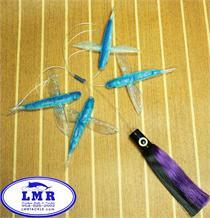 We use 4 Carolina Lure Flying fish with a Snap Swivel so you can attach your choice of lure and color. 8 Foot long. These are deadly!